J.K. Rowling at the Advance Screening of Fantastic Beasts and Where to Find Them at Carnegie Hall in New York, to benefit Lumos Foundation USA. Compelled by an article in the Sunday Times newspaper back in 2004 about children being kept in caged beds in an institution, writer J.K. Rowling had the original idea for a charity which would seek to end the institutionalisation of children. And so Lumos, named after the light-giving spell in Harry Potter, was founded to shine a light on some of the world’s most disadvantaged children. 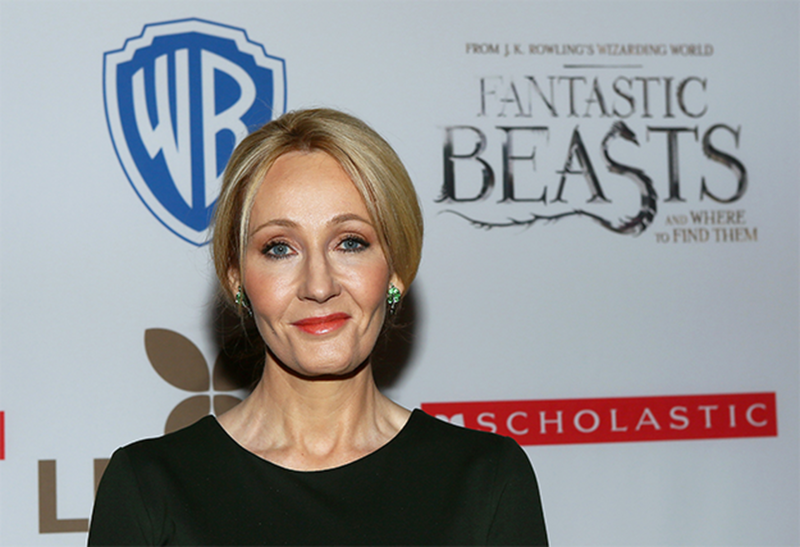 After eight years as chair of the Board of Trustees, J.K. Rowling became Founder and Life President of Lumos in 2014. J.K. Rowling has written three companion volumes in aid of charity: Quidditch Through the Ages and Fantastic Beasts and Where to Find Them (in aid of Comic Relief and Lumos), and The Tales of Beedle the Bard (in aid of Lumos). In 2007, J.K. Rowling auctioned a copy of one of the seven special editions of The Tales of Beedle the Bard, which raised £1.95 million for Lumos. In December 2008 the book was widely published in aid of the charity and became the fastest-selling book of that year. Her 2008 Harvard commencement speech was published in 2015 as an illustrated book, Very Good Lives: The Fringe Benefits of Failure and the Importance of Imagination, and sold in aid of Lumos and university-wide financial aid at Harvard. Through her charitable trust, Volant, J.K. Rowling supports a number of other causes to do with social deprivation, particularly concerned with women, children and young people at risk. She continues to fund research and treatment of Multiple Sclerosis and other neurological conditions through the Anne Rowling Clinic at Edinburgh University. As well as receiving an OBE and Companion of Honour for services to children’s literature and philanthropy, J.K. Rowling has received many other awards and honours, including France’s Légion d’Honneur and Denmark’s Hans Christian Andersen Award.